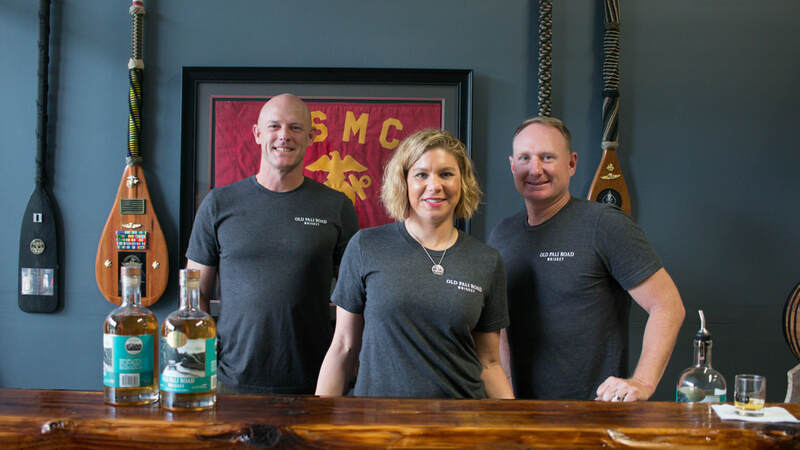 The company is family-owned and operated, and was founded by Marine Corps Lieutenant Colonels Eric Dill and Ian Brooks, who meet in 2002, Heather Pence, Mr. Brooks’ neighbor, and their spouses. Both Dill and Brooks have been stationed on Oahu throughout their military careers, and have always wanted to return to live in Hawaii with the goal of starting a business in their retirement. The idea of starting a distillery was further developed when Dill and Brookes attended a Department of Defense school together in Washington D.C. Upon retirement from active duty, Brooks and his family moved back to Hawaii; that was when he met Dan and Heather Pence. After a discussion with the Pences, Heather joined the team, bringing to the table her valuable industry knowledge from her background in working for the local distributor, Johnson Brothers. A couple years ago, Dill found himself back in Hawaii presenting information to the Special Operations Command Pacific. With everyone together, the team officially put their idea into action, securing a location for the distillery and buying equipment. “And if you put the Hawaiian Flag on the bottle, like we did, it’s saying that it comes from Hawaii, so you have to produce quality, and you have go big. If not, most people will only support [the product] once,” said Brooks. Bourbon style mash, with 90% Premium Corn and 10% Briess Distillers Malted Barley. “We wanted to find something that matched ours, so as we grow our content and our percentage of the whiskey, the profile of the whiskey won’t change,” explains Dill.. The solids are strained from the mash through straining bags, and the spent grain is used by Dan and Heather’s daughter to make dog biscuits. Le Jardin Academy, a local private school located near the distillery, also has an animal center that uses the spent grain as animal feed. In a distillation run, there are heads, hearts and tails. 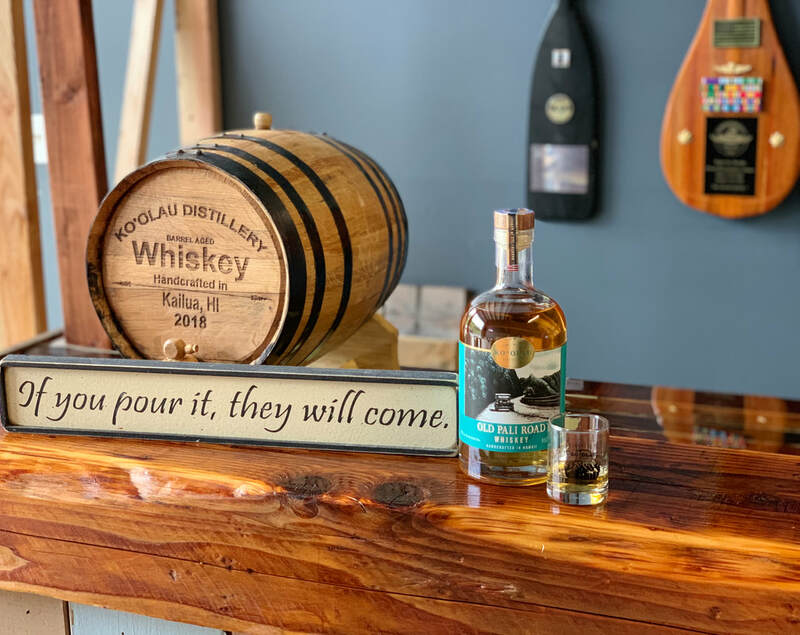 Koolau Distillers puts an emphasis on collecting hearts between 110 proof and 160 proof, which they believe are the cleanest and purest. Also, because they have a smaller still, the hearts, heads and tails are more defined than at a larger distillery where they can blend together. 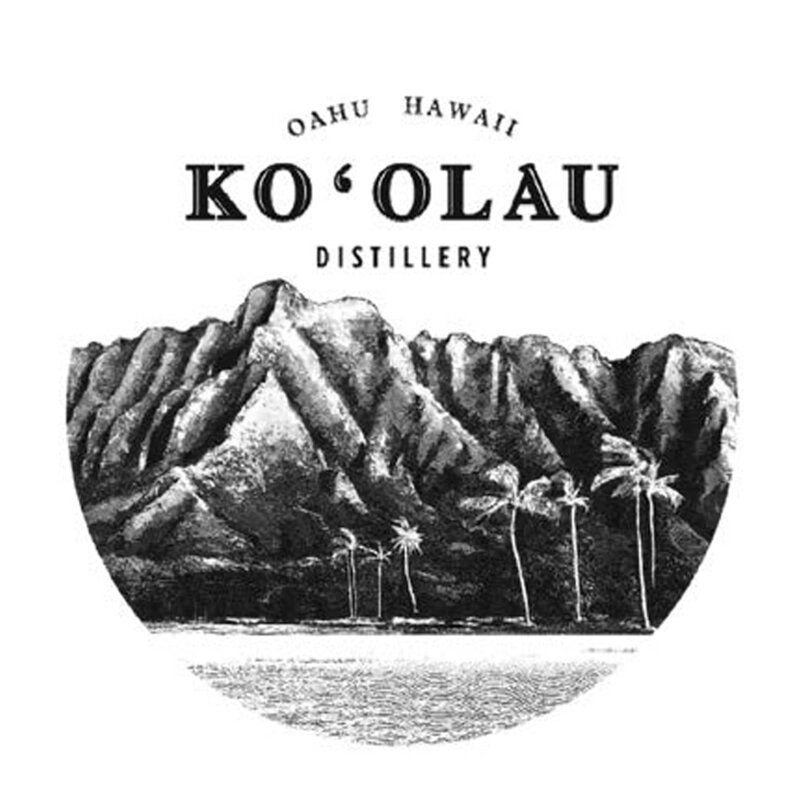 Koolau Distillery also is conscious of the resources they use. Instead of tapping a waterline for temperature regulation of the still, which can consume hundreds of gallons of water per distillation run, they uses a hydrostatic radiator, which consumes no water. One month, though some barrels are aged for longer. 5 Gallon American White Oak Casks from Tennessee. Although they are currently using a five-gallon cask, Koolau Distillery will be moving to a 10-gallon cask shortly. “When we switch to the 10-gallon, we are going to switch to a manufacturer from Wisconsin. They do custom charring, and we want to get good caramel and flavor that is not overly colored. I love Japanese whiskey and I love bourbon, so one of the things I’m making is something that traverses the two. You can get a light toast and a heavy char, so that’s what we are going to switch to when we have the purchasing power to do so. All barrels are casks, but not all casks are barrels. Rather, a “barrel” is a specific term referring to a 50 to 53 gallon cask often made of white oak. For the all-encompassing term for the vessel that you age spirits in, “cask” is the preferred nomenclature. Koolau Distillers is actively figuring out the logistics to make a whiskey out of 100% Oahu-grown corn. They already buy corn at Oahu farmers’ markets.